Blenda Script is a free experimental font inspired by lobster font, a bold vintage script. Can be used for various purposes. Such as news, posters, logos, badges etc. 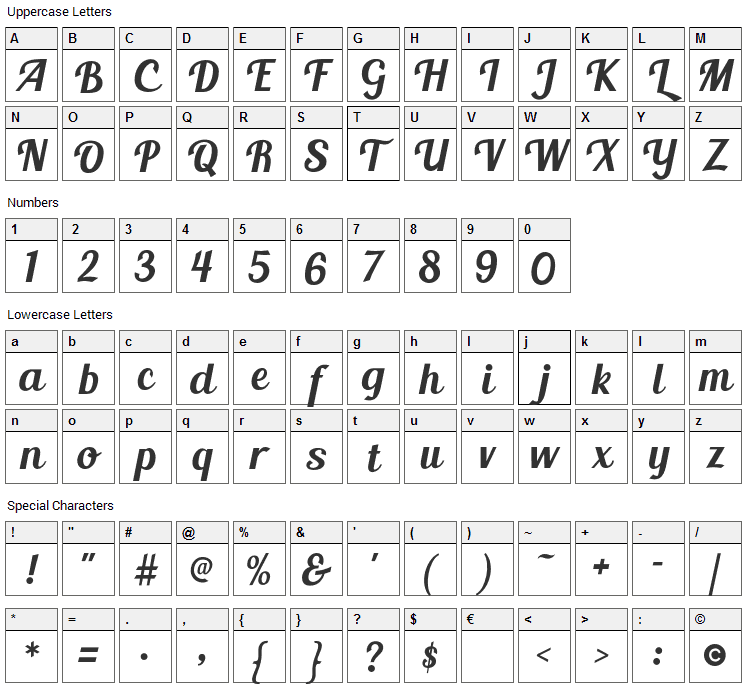 To enable OpenType Stylistic alternatives use programs or manually select a character from the Glyph Palette. Blenda Script font contains 214 defined characters and 128 unique glyphs. 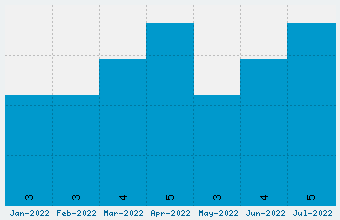 The font contains characters from the following unicode character ranges: Basic Latin (93), Latin-1 Supplement (70), Latin Extended-A (23), Spacing Modifier Letters (4), General Punctuation (15), Currency Symbols (1), Letterlike Symbols (1), Mathematical Operators (1), Alphabetic Presentation Forms (5). Blenda Script is a script, various font designed by Seniors Studio. The font is licensed as Public Domain / GPL / OFL. Public domain fonts are free of known copyright restrictions because intellectual property rights have been forfeited by the respective author or property rights have expired. The font is free for both personel and commercial usage. For your questions, please contact the designer directly from behance.net. 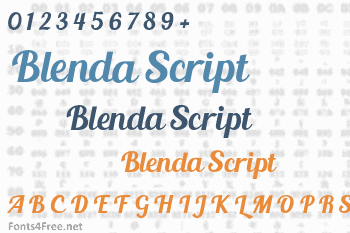 Blenda Script font has been rated 3.0 out of 5 points. A total of 1 votes cast and 0 users reviewed the font.